I was starting to process images from my weekend New York this past October when I realized I still had some unprocessed images from July. Sometimes its hard to stay on top of all the images but I am trying to clear up the backlog especially since I’m getting ready for another trip that’s just a couple of weeks away. With the sound of bells. And in its midst is a wall. Behold I am a violin for all your songs. If you’d like to listen to a beautiful rendition sung by the late Ofra Haza click here. Yes I know it’s been quite sometime since I’ve published a post. First of all thank you to all who emailed me with concern, asking where I am and if everything is ok. Yes all is well. I’ve taken on a new expanded role at work and have been doing some business travel which has taken up a lot of my time. As much as I hated to do it, my photography and my blog had to take a back seat for a couple of months while I emeressed myself in my new role at work and learned the ropes. It’s interesting though the guilt I felt the first couple of weeks of not blogging. I would arrive home fully expecting to sit down at the computer in the evening and crank out a post but then there was other “work” to finish and before I knew it midnight rolled around. I finally decided that a half-hearted post wouldn’t do and I would give myself permission to take some time off from blogging. So here I am back again. I can’t promise I’ll be as regular with my posts as I had been, at least not for the short-term but I will certainly try to post semi-regularly. I also haven’t done much travelling this summer but we did manage to go to Montreal for a weekend to visit family. Family visits are great but it’s always a bit tough to eek out some time for photography. We did manage to go out to Old Montreal one evening and I did bring my tripod and gear with me for a few shots. Old Montreal is beautiful at any time of year but in the summer its bustling with people. Street performers are out, people are walking through the cobblestone roads or sitting at an outdoor Cafe enjoying the evening. Of course at night the star attraction is the lights which brings the buildings and streets to life. I had to be in Boston last week for a conference and I decided to get in a day early so that I could do some shooting around the city. I do love Boston and was thrilled to find myself back in Beantown, even if it was just for a few days. I spent hours walking during the day but I knew where I wanted to end up at sunset…Fan Pier. The pier is a great spot to photograph the skyline. I’d shot there the last time I was in town and was terribly disappointed with the images I came away with so this was my opportunity to give it another go. It was a lovely sunset…not a wow by any means but nice and subtle with a beautiful transition to the blue hour. I was much happier this time around. Click on the image to see a higher resolution version (it really does look better) or to Purchase a Print. Our Cuba trip was primarily a family vacation. We stayed at a lovely resort in Varadero, The Melia Marina. The resort was connected to the Varadero Marina and at night it sparkled with all the Christmas lights. Click on the image to see a High Resolution version (it really does look better) or to Purchase a Print. The lights from the village and passing boats make Lake Como shimmer and shine at night. On another note I wanted to share with you a couple of discount codes. 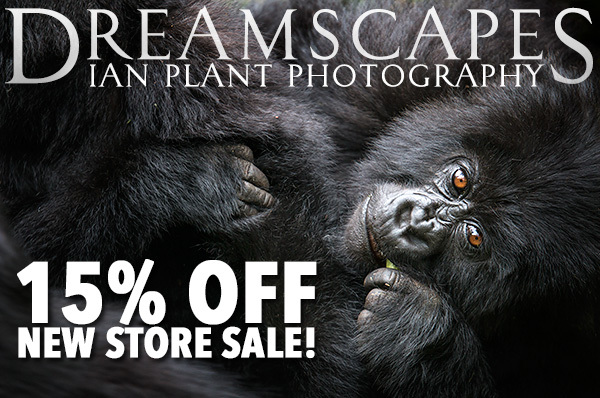 Ian Plant has revamped his Dreamscapes store and is offering 15% off all products until the end of August. You can visit the new store here. The 15% discount code is NEWSTORE. 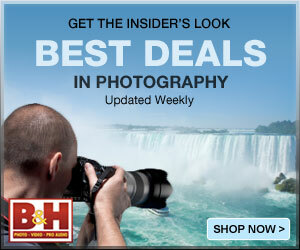 Topaz Labs is having an amazing sale on its Topaz Adjust plug-in. From now until the end of August save 50% on this powerful plug-in. Visit Topaz Labs here and you can download a free trial. The 50% discount code is AUGADJUST.